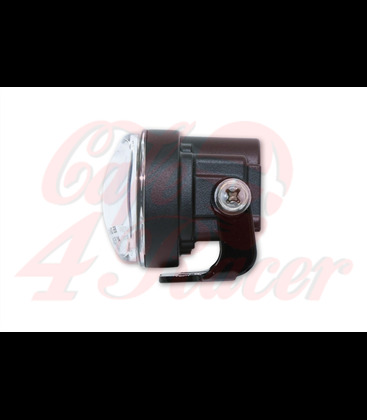 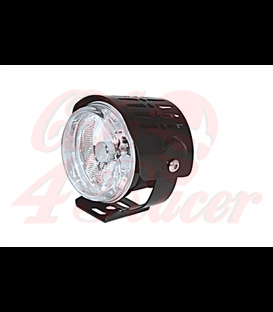 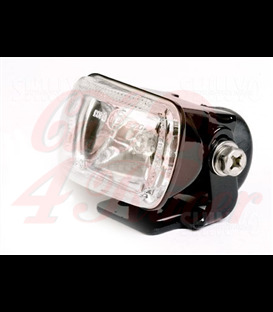 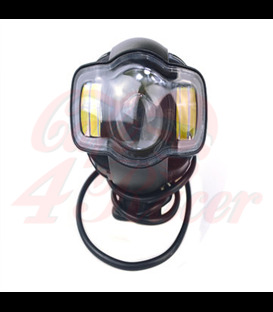 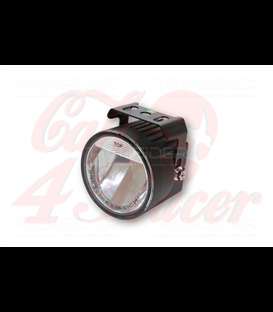 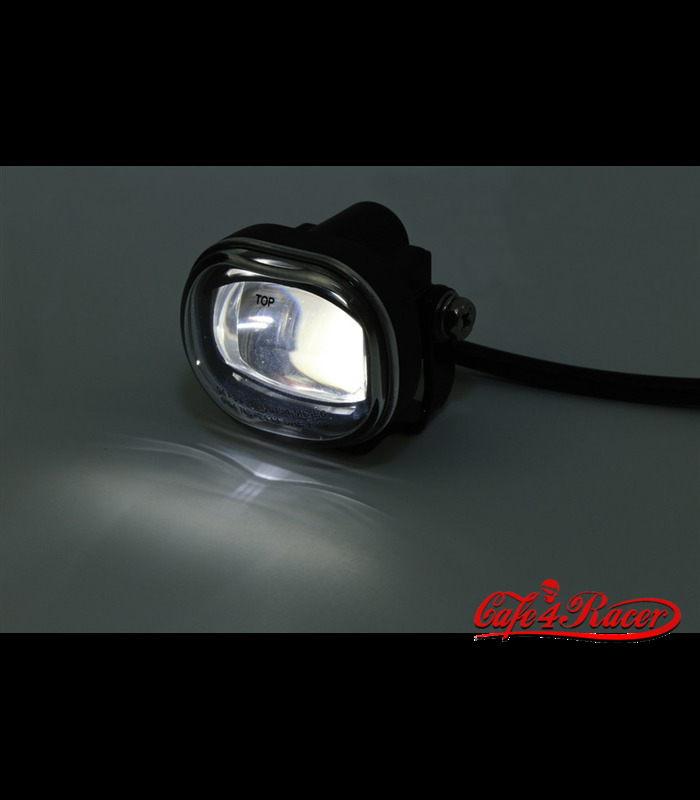 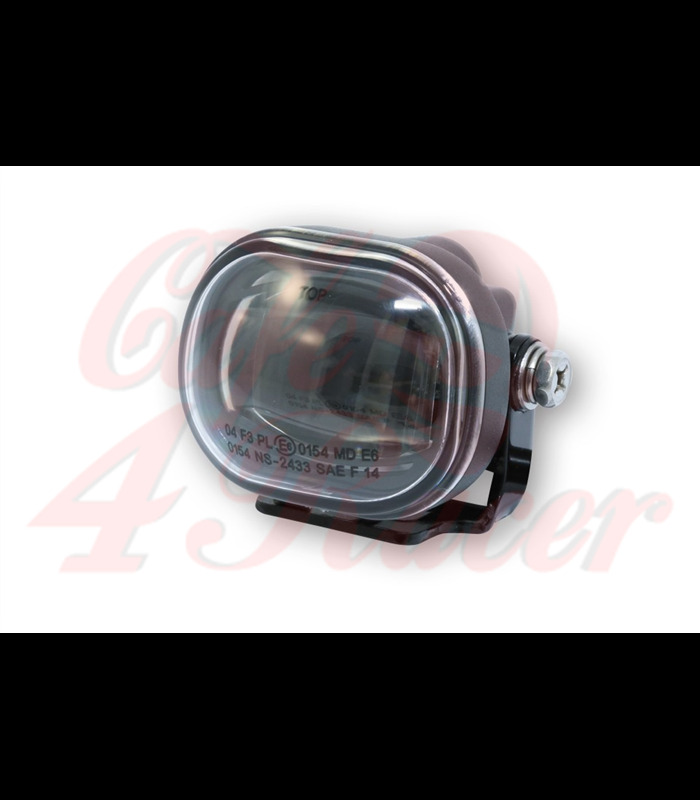 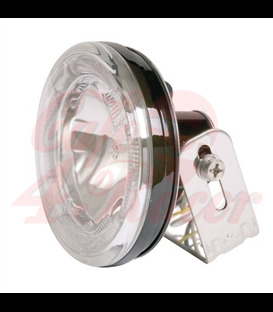 LED fog light with a black metal housing and a clear lens. 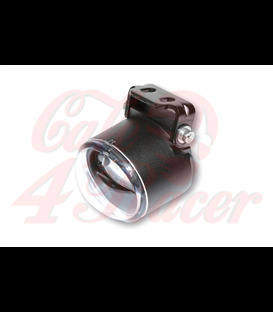 The universal bracket come with long holes for upper or bottom mounting. 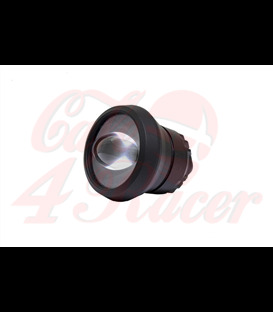 3 Power LEDs ensure a great luminous efficiency on a low power consumption of 0,6 A (7,5 W) measured on 12,5 Volt, E-mark.